What Point Did It Go Downhill? Can someone fill me in on when the Raiders fell off a cliff after having SB hopes heading into the 2017 season? Was it the Derek Carr injury on Christmas Eve in 2016? Some would say so but heading into that offseason they were supposed to be even better for 2017 but that wasn't the case. Remember this team started the season 2-0 in 2017 and looking great and nothing was mentioned about any issues with Derek Carr but then all of as sudden came a SNF game in week 3 against the Skins and they looked awful and have only gotten worse since. So in less than a year this team has gone from SB aspirations to basically stock piling draft picks? This doesn't make sense to me and somehow doesn't add up. NFL Network? Are we being investigated? No investigation as just stunned at how the expectations changed in less than a year. Where is the Derek Carr of 2016 or 2015 for that matter? This team was supposed to be on the upswing but can't figure out how it got so bad. I thought by the time they moved to Vegas they would be an AFC elite. I knew the defense was an issue in 2016 but they still went 12-4 and thus thought we had a franchise QB who could carry them to the playoffs in spite of a no so great defense but the defense is even worse and our QB fallen off a cliff and still dropping. 1. We drafted poorly for 3 years straight. 2. JDR hired Todd Downing as OC. 3. Carr broke bones on his back. 4. Some key players from 2016 started to decline (Penn and Crabtree). Why was Musgrave fired when they had such a great offense in 2016? Disagreement with JDR or scared to lose Downing, I don't think anybody liked Musgrave including Carr, but he knew exactly how to handle Carr and Cooper it was brilliant really. 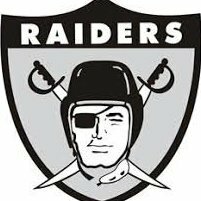 I was pro Musgrave it would of been Carr third year with an OC. Would of been curious how it fared. 2016 was an aberration. That team was not as good as their record indicated and people overreacted. The defense was terrible. Week 3, Lewan gets an unnecessary roughness call that cost the Titans a potential win. Week 3 Give up 412 yards off offense, won on a last minute TD. 4TDs on 199 yards passing for Carr. Week 4 give up a 10 point lead, Chargers fumble snap on game tying FG attempt with the momentum. Week 6 beat KC handedly, but give up 406 yards. Week 13 Bills give up a 15 point lead. So just some fluky things. KC had Carr's number and notable they've said once you get pressure on him, he folds and that's being proven somewhat currently. Carr broke his leg and nothing has been the same since. As has been the case for the past 15 years. When Rich Gannon broke a bone in his neck. This organization hasnt been the same since.